5 Pizza Of The Month Club Options For A Completely Different Subscription and there are monthly clubs for that too. Each pizza of the month club has its own distinct features and there are often different kinds of pies, including toppings and dough recipes. Those differences are the reason for creating this list. In it, we provide details about the various clubs, so you can pick the best one for you. Let's face it though – you're going to try all of them. So it's really about picking which one to start with. PPS. Let's get real. You also want to see the bacon clubs, amirite? This pizza club provides flash-frozen pizzas every month. Amazing Clubs is well-known for their wide variety of clubs – so it’s no surprise that they offer a Pizza of the Month Club. 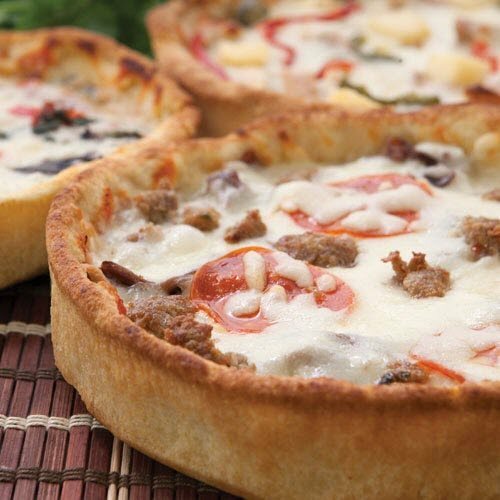 This subscription provides members with 3 varieties of Chicago-style deep dish pizza every month. The pizzas have all been vetted by a taste-testing panel, so you can be certain that you’re getting the best possible pizza. The provided pizzas have a diameter of roughly 10-inches. They’re flash frozen and then delivered to you. This helps to keep them fresh, although the pizza mightn’t be frozen when it arrives. Amazing Clubs also mentions that pizza varieties are never repeated in a year and that there is a strong focus on variety. The club can be ordered from month-to-month or by pre-paying. The monthly cost stays roughly the same regardless of your choice. You’re paying $59.95 per month. In some cases that price will drop down to $58.95 or $57.95 per month. This club provides enough pizza for at least 4 people. Subscriptions from Goldbelly round up some of the best products from around the nation. This is exactly what happens with their pizza subscription. 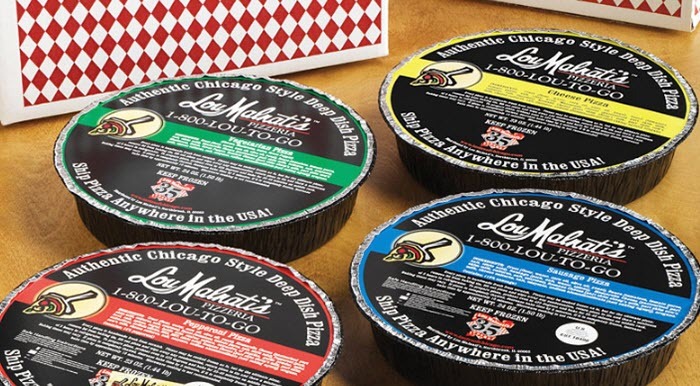 Example of pizzas shipped out include New York's Legendary Roberta's Pizza and St. Louis’ Famous Imo's Pizza. The subscription costs $69 each month and can be ordered for 3 or 6 months. Your pizzas will always be prepared fresh. They are then shipped from the store. 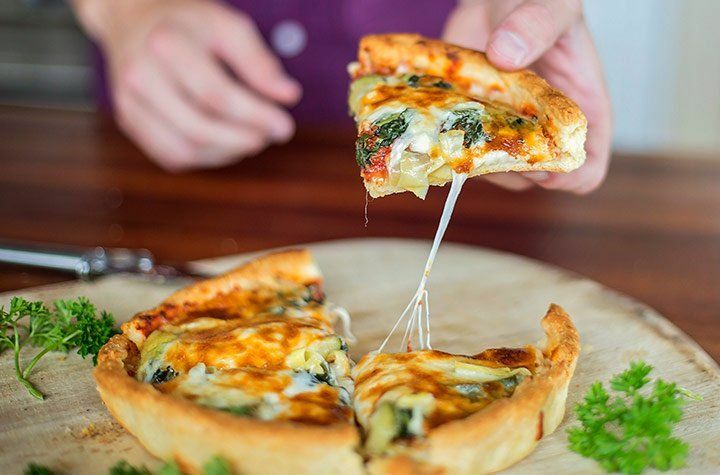 This club focuses on Chicago-style deep dish pizzas. The Pizza of the Month Club from Flying Noodle provides 3 different pizzas every month. Flying Noodle aims for variety, so the pizzas won't repeat. Each pizza is 9 inches each and contains 6 servings, enough to feed 2 people. The subscription can be ordered for 3, 6 or 12 months, with a cost of $179.85, $353.70 and $695.40, respectively. This breaks down to $59.95, $58.95 and $57.95 per month. There is also a seasonal club. This version ships out every 3 months, for a total of 4 shipments each year. The cost here is $239.80, which averages to $59.95 per month. 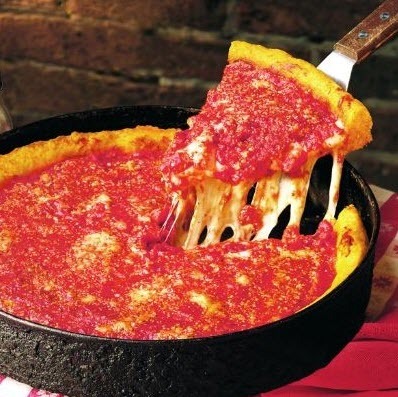 Here's another club that follows the deep dish Chicago style. The subscription from Great Clubs of America is very similar to the Flying Noodle club. Once again, members are sent 3 9-inch deep dish pizzas each month. There is also plenty of variation in flavors. Thankfully, there are some differences too. This time, the pizzas all appear to come from the same store. The subscription also includes a Pizza Expeditions newsletter that provides details about the pizzas you receive. The club costs $59.95 per month. You can choose to order for 2, 3, 4, 6 or 12 months. You can also pick whether to pay monthly or in full, the frequency of shipments and the starting date. The monthly price tends to remain the same regardless of your selections. The one exception is that you save $50 if you order a 12-month membership. This company specializes in shipping its own food across America. Tastes of Chicago is the only company on this list that produces its own product and then ships it out. In fact, the company does this with multiple types of food. The style allows them to focus much more heavily on shipping their products effectively. There are more subscription options than normal with this club. You can choose 2 pizzas for 12 months, 4 pizzas for 3, 6 or 12 months, or 6 pizzas for 12 months. The prices range from $261.99 to $1199.99.